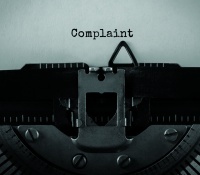 The Financial Ombudsman Service has told Tenet to compensate a client for its failure to give timely advice that resulted in an annual allowance charge of around £14,000. In the ruling, Mr T was a client of Tenet Connect, Tenet’s network of advisers, who found he was under threat of redundancy and made an appointment to see his adviser in early February 2016. Mr T says he was advised to commission a thorough review of his finances to ensure he was fully prepared financially ahead of any actions before, during and after his retirement. At a meeting, Mr T says he told his adviser he would be able to negotiate his leaving date and asked for advice if he should make a one-off pension contribution to his defined contribution scheme through annual bonus waiver in March 2016. He also asked if he should take advantage of a once-a-year opportunity to reduce his defined benefit pension accrual from July 2017. Tenet Connect’s report appears to have been delayed due to the adviser’s illness and Mr T says he had to chase the report on a number of occasions. He adds that because the report was late and he did not receive advice on whether to reduce his DB pension accrual from July so he maintained the current level of pension contributions. Mr T retired in February 2017 and in March he contacted his pension scheme to get the actual 2016/17 pension savings figure for his tax return. But he was told the figure was much larger than he was expecting, due to an additional state pension enhancement applied by the pension scheme. This meant that his payments exceeded the annual allowance by a greater amount than he had expected and he incurred a larger annual allowance charge of around £14,000. Mr T complained to Tenet and it agreed there had been errors in the report, and a delay in producing it. Tenet offered to waive the fee charged and pay Mr T £250 compensation for the trouble he had experienced but did not agree it should pay the annual allowance charge. The complaint was passed on to an investigator who recommended Tenet should refund its fee, pay £250 compensation to Mr T and determine whether his tax liability might still be mitigated, or, if not, to pay the additional tax liability he incurred. Tenet did not agree with the investigator’s conclusions and argued Mr T was not able to and did not intend to delay his retirement and he should have taken steps to mitigate his loss. Mr T also responded to the investigator’s view and said as he has already retired, there was no possibility of mitigating the tax liability and he provided evidence he had incurred tax liability of £13,859. The case was passed on to ombudsman Alison Cribbs who says Tenet made repeated errors and the report was late which meant Mr T did not have the chance to change his contributions to his pension scheme. She orders it to pay Mr T £13,859 in respect of the annual allowance charge he incurred, refund the fees it charged him and pay £250 compensation.